Sagar Dhakal is a Blogger, Freelancer, and a webpage designer. He started his own business at in 2019. Now he has many sites and as well as earning from those sites. 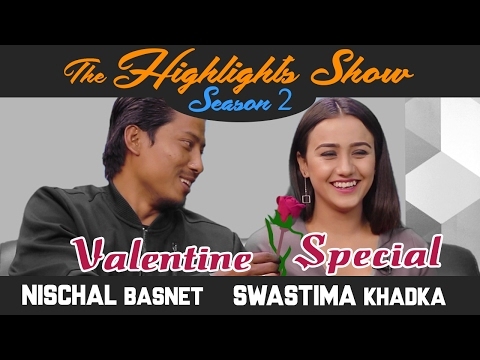 His popular sites are Trending Topic, Nepali Blogger and Hindi Jokes. He was born in New Delhi India. Currently, he was staying in Satyawati-5-Hansara Gulmi, Nepal. He was born on Friday, August 3, 2001. Now he was 18 years old (as in 2019). Sagar Dhakal Lives with his father, mother, and little brother. His father name is Homnath Dhakal, mother name Laxmi Dhakal and brother name Bikram Dhakal. His hobbies are writing, blogging, website designing and much other online work. He listens to Indian classical music in free time. 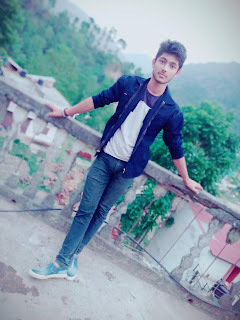 His favourite movies are Indian Bollywood and south Hindi dubbed. favourite actor is Akshay Kumar and Actress is Deepika Padukone. Sagar Dhakal Studied class1 to Class 5 in Shree Gauri Shankar Primary School, Hansara-Neta and Class 6-Bachelor level he studied in Shree Satyawati Higher Secondary School. Siddhartha Gautam was born in Shakya Dynasty, the royal family of Kapilvastu Nepal in 563B.C. His father name was Shuddhodhan and the mother was Maya Devi. Since his childhood, he behaved seriously. 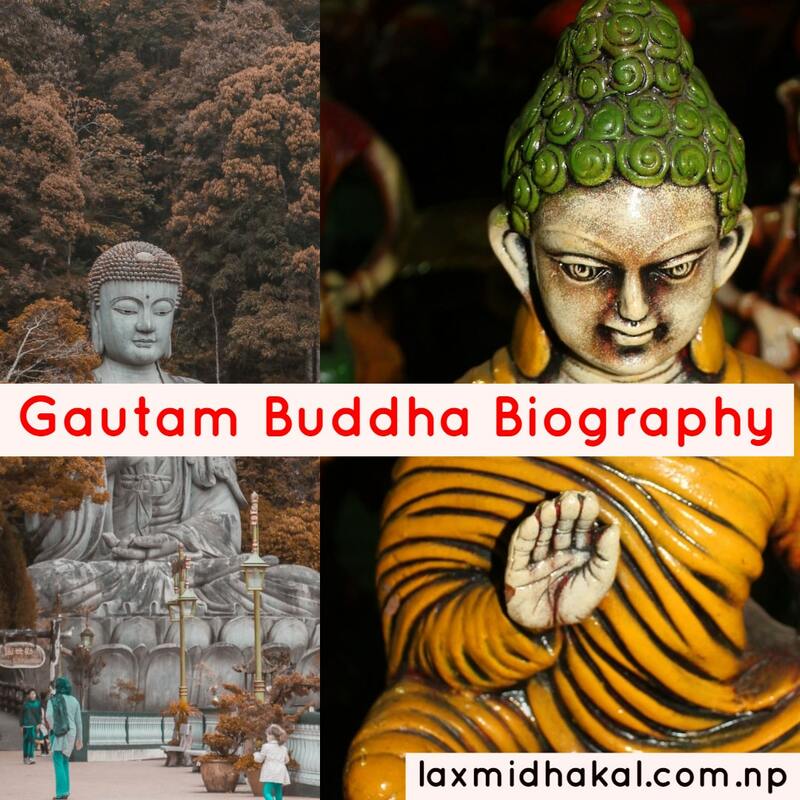 Siddhartha Gautam, who was born in Lumbini, Nepal in 563B.C, later became Buddha which means 'the enlightened one' after attaining enlightenment in 527B.C. He is now known as the "Light of Asia" and the "World Peace Messenger". Since his childhood, he showed the behaviors of a sage. He was married to Yashodhara, the princess of Devadaha. A son was born from her. His name was Rahul. But Gautam thought that the birth of his son was a bond. The scene of old ages, diseases, and death made his thinking fast. 'How to get rid of the ocean of sorrow? How to be the welfare of the soul?" These were the matter of his worry. At last, at the age of twenty-nine, he decided to leave the royal palace and set out for the jungle. In searching for the knowledge, he stayed in the Ashrams of the ascetics and lived nearby Rajagiri of Magadh and listened to some precepts. From there, he reached the Urvela, a place in India. He stayed there and began to perform a hard practice without grains. He made the body weak. But he could not gain knowledge and peace. He thought that knowledge was gained only by devotion. Finally, he began to meditate sitting under Peepal tree near Bodhagaya. Then he gained knowledge. Since then Siddhartha became 'Buddha'. 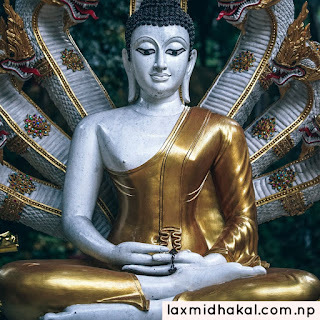 He was called the Lord Buddha. After getting the knowledge, Lord Buddha went to Sarnath near Varana and gave precepts. This was his first precept. The number of the followers are increasing day in, day out. Giving the continuous precepts till the age of eighty-four, he got Nirvana in Khusinagar. Three important events, the birth, realization of knowledge and his death occurred on the same day. of Baishakh Purnima. 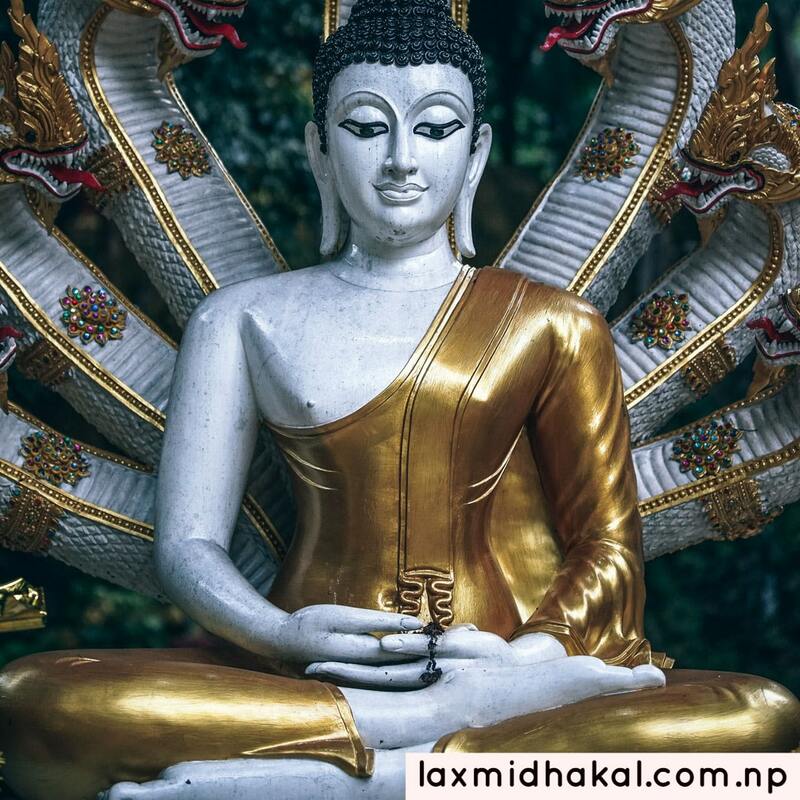 The philosophy created by Lord Buddha is called "Buddhism". One who follows and practices according to the way directed by the Lord Buddha can get rid of an ocean of the sorrow, the cycle of the birth and death. There are millions of followers of Buddhism all over the world. 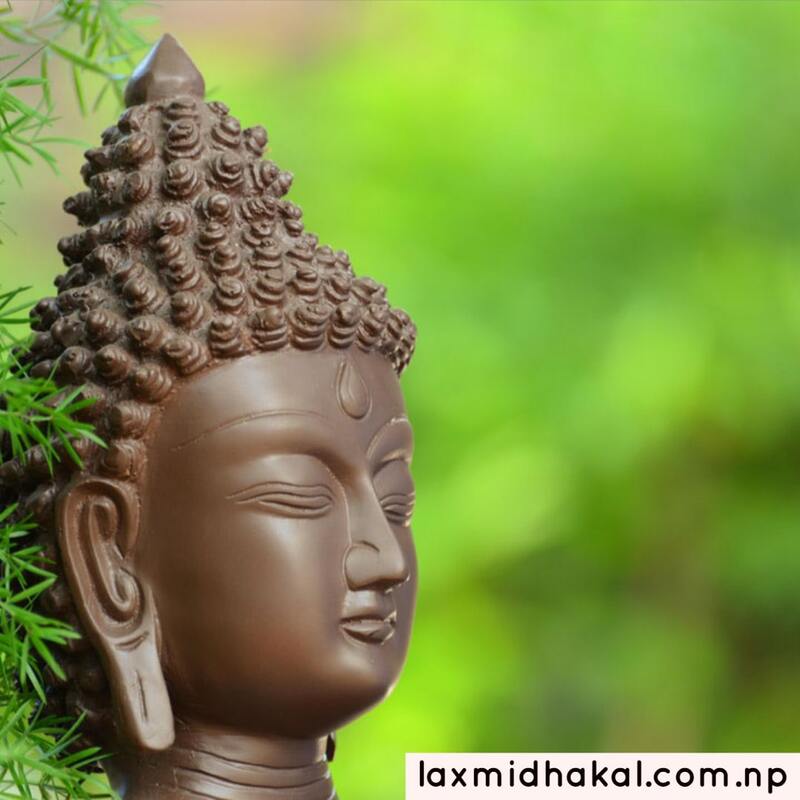 Buddha always stood for peace and happiness of every individual and living being. It was Ashoka who spread the Buddhism in India and abroad his birthplace Lumbini has become the Holy Land for Buddhists. Thousands of pilgrims visit Lumbini every year. 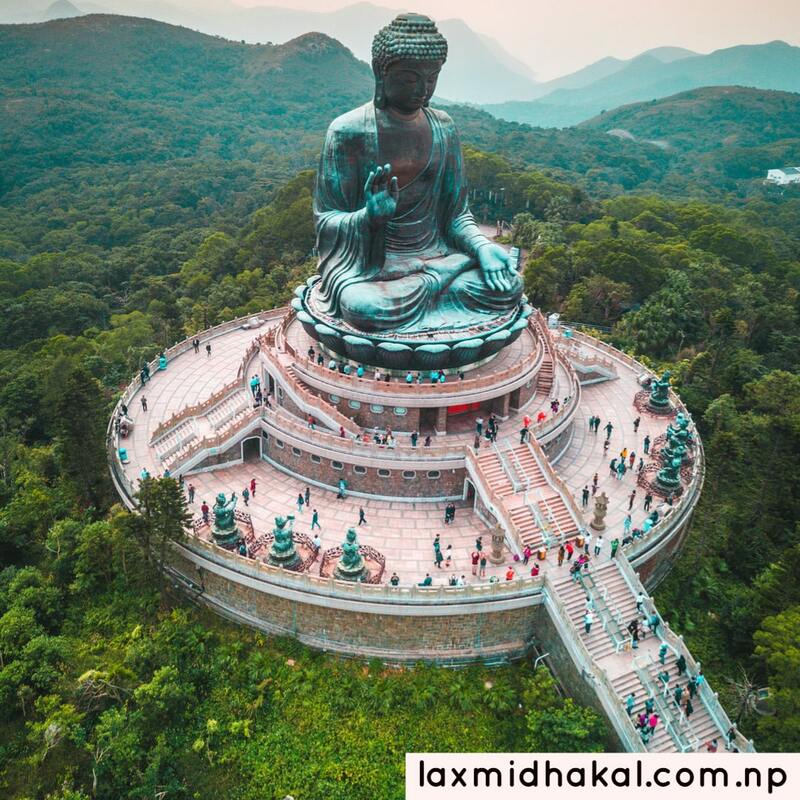 Buddha, whose statues can be seen in most of the parts of the world, died at the age of eighty in 4832BC at Kushinagar, India. Before he took his last breath, he said,"Subject to decay is all compound things. Strive with earnestness." This super-human, who is considered to be a God these days, has shown a light to every person in to live in if each and every person follows Buddha and brings his teaching into practice. Lord Buddha is regarded as the ninth incarnation of Lord Bishnu. He is not only the light of Asia but also the light of our hearts. 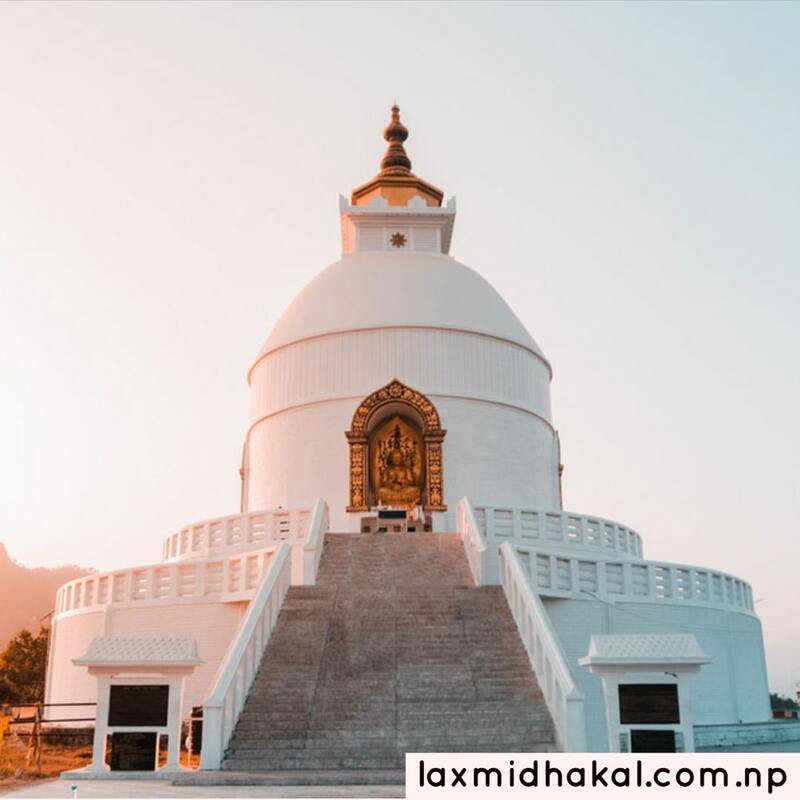 Good attempt, good sacrifice good belief, good speech, good remembrance, and meditation are the eight precepts he has emphasized on good deeds. They are not to murder, be holy by heart speech and deeds, not to speak false, not to conduct badly, to give up bad sentiment from hearts, to take a good profession and not to steal.